Impression ring is a design as unique as your love. 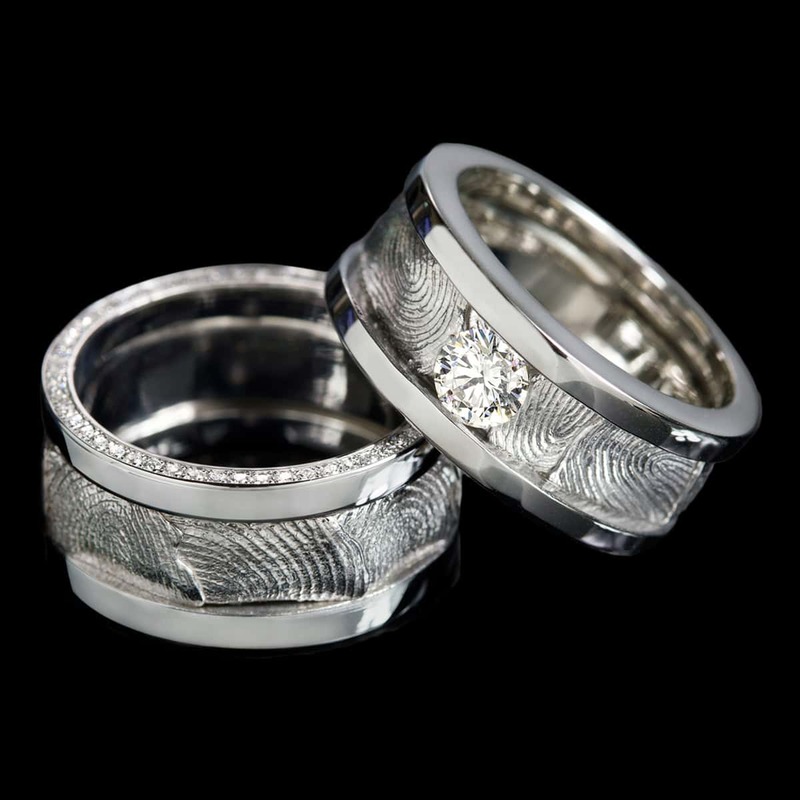 We create this truly one-of-a-kind band from your, or your loved one’s, fingerprints. Impression ring features a fingerprint motif in gold, set within borders. Optional diamond accents give your ring a truly luxurious feel. To purchase, call us at (949) 715-0953 or use our contact form below.